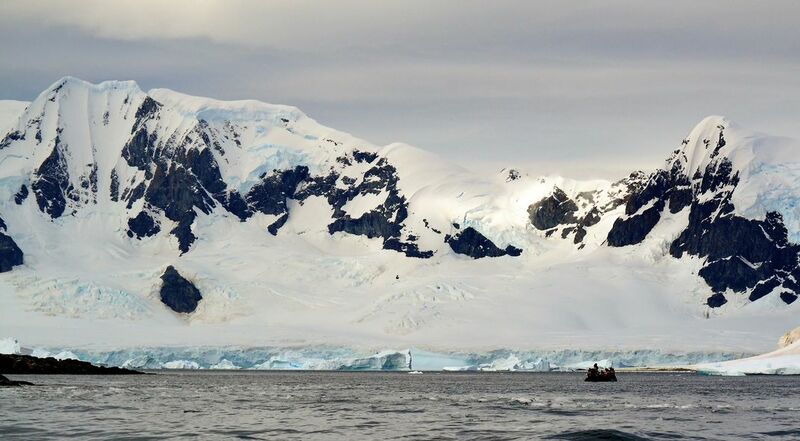 We were on our ship cruising the Antarctic Peninsula. This was taken from the ship of a Zodiac moving through the channel, viewing the magnificent scenery. Date Uploaded: April 16, 2018, 5:51 p.m.